Honor has been on a roll over the last few months, launching phones across price brackets and feature sets. The Honor 10 was this year’s flagship which was supposed to go head-to-head with the OnePlus 6, and now, we have the Honor 9n, which is supposed to be the company’s budget segment offering. The Honor 9N comes with a modest specification set, the promise of GPU Turbo, and a rather neat build & design. However, the question remains, is the Honor 9N worth the money you’re going to be shelling out for it? We find out. The Honor 9N is made of 12-layered glass which follows a very similar design language to the Honor 10. Our review unit is the Sapphire Blue version, although Honor also has a Midnight Black (mirror finish), Lavender Purple and an oddly named Robin Egg Blue, which is a gorgeous shade of sea green. 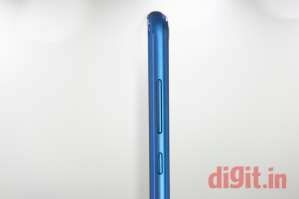 Unlike the Honor 10 which had a very seamless blend of the back with the metal frame, the Honor 9N feels like three distinct layers; the glass back and the glass front held together by the metal frame. The glass back feels more like polycarbonate, and the only thing wrong with it is that you might think the phone is sturdier than it actually is. I’ve had a bad experience with phones which have a glass back, so the included case in the box is a welcome addition. Honestly, the use of glass on smartphones which don’t have wireless charging makes little sense since it makes the phone more prone to damage than their metal counterparts. The fingerprint sensor sits on the back of the device instead of being on the front chin. The placement of the fingerprint sensor is a very personal choice, as I prefer it on the front, while many prefer it to be on the back. Either way, it isn’t difficult to reach for one-handed operation. The front of the phone has a 19:9 display and there’s not much else going on here in terms of design. The side frame has rounded edges with the volume rocker and power button on one side, and the SIM tray on the other. The headphone jack, speaker grille and MicroUSB charging port are all at the bottom. Overall, it is nice to see Honor take design cues from the Honor 10 and bring them to a cheaper smartphone. The phone feels very light to hold, the glass back feels more like polycarbonate, but is extremely glossy and hence prone to fingerprints. This is again where the included case comes in handy. The case has a frosted finish and will hide the colour of your phone. Overall, the Honor 9N is a well-built device for its price. The Honor 9N comes with an FHD+ 19:9 display. The 2280x1080 pixels are fit into a 5.8-inch display, giving it an effective pixel density of roughly 432ppi, a sufficiently high number by most standards. The smartphone has an IPS-LCD display which means excellent colour reproduction and very impressive viewing angles. The notch is supposed to offer more real estate but still remains a hotly debated design choice, as it seems to take away just as much as it offers. The phone isn’t bezel-less as it has very miniscule bezels on the side, and a notable chin at the bottom used for branding. In my use, I found the Honor 9N’s display to be rather impressive. The Full HD resolution obviously makes things look good. A peak brightness of 184 nits (631 lux) makes the display very legible. Outdoors, the display retains its saturation, but the reflective display does make it difficult to watch movies, although you should be able to browse the web and respond to texts without much trouble. At night time while reading a book on the phone, it was nice to be able to turn the brightness down to 1 nit, a very comfortable level of illumination for reading in pitch darkness. While there is a blue light filter, the display settings also give users the ability to tune the colour tint manually, alongside a standard “warm” and “cool” display setting. Unfortunately, there is no way to tune the saturation of the display. Overall, the display of the Honor 9N is extremely functional, with good saturation levels right out of the box. The ability to tune the white balance of the display is nice, but a lack of saturation control could be bothersome. While the Honor 9N’s display is well balanced, those who like their display saturation to be higher than normal would not be pleased with the lack of an ability to fine tune this aspect of the display. The whole point of the new 19:9 aspect ratio is to be able to offer bezel-less displays, however, the Honor 9N keeps the bezels, no matter how narrow they may be. The Honor 9N is powered by the Kirin 695 chipset and our review unit is the 4GB RAM variant with 64GB storage. Huawei, Honor’s parent company, recently announced GPU Turbo, a feature that the company will roll out through a software update to boost the performance pushed out by the GPU while gaming. This feature is coming to many Huawei and Honor phones and is currently not available for the Honor 9N. It is, however, expected later this year via a software update. As of now, we’ve got the Kirin 659 which is a Snapdragon 625-grade SoC and 4GB of RAM to power the phone. In our benchmarks, the phone does not fare very well. It scored 184 in the GFX Bench Car Chase test and 936 in the Geekbench Single Core test. The Honor 9N’s 3DMark Sling Shot score was 284 while the 3D Mark Ice Storm score was 12500. 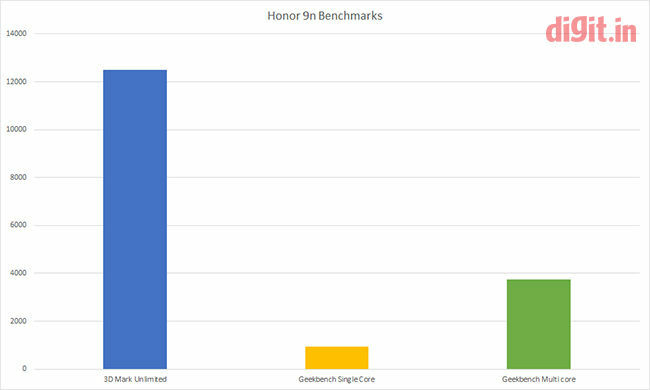 These numbers show that the Honor 9N isn’t exactly the gaming beast you would want it to be. We explored this further in our gaming sessions with the phone. I played four games on the phone; Asphalt Extreme, Shadowgun Legends, PUBG and Subway Surfers. Asphalt Extreme plays smooth, but there is a visibly lower number of particle effects. While driving through dirt or water, you will notice the water (or the dirt) that is kicked up by the tyres look more like square blobs than the real thing. When playing the same game on higher-end devices, these textures are much nicer and much more well defined. 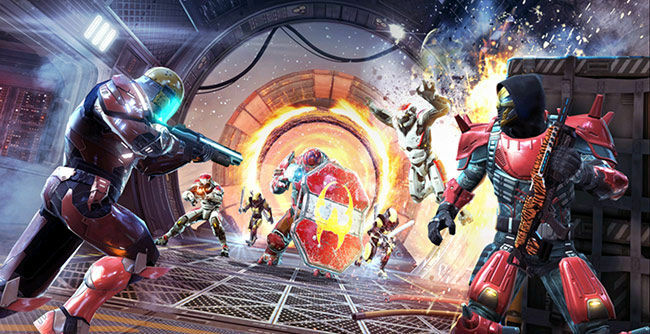 The gameplay itself isn’t too problematic, with everything working smoothly. Playing PUBG on the phone, the load times were noticeably slow and the textures weren’t as visually appealing, then again, the gameplay was pretty smooth. Taking aim with and without the sights was once again stutter-free. Shadowgun Legends is where I found the most lag, both during missions and in the lobby. The stutters weren’t excessive for the most part, but at times when the map had too many opponents, things became very slow and hence, the game became too slow to play properly. Moving onto day-to-day performance, the phone manages to do fairly well. Between the 15+ tabs in Google Chrome, Play Store, Gmail, navigation and the handful of messaging apps, the Honor 9N manages to deliver a decent experience. When there was a game left running in the background, the phone tended to stutter a little while switching windows, but a quick clearing of background apps fixes that. 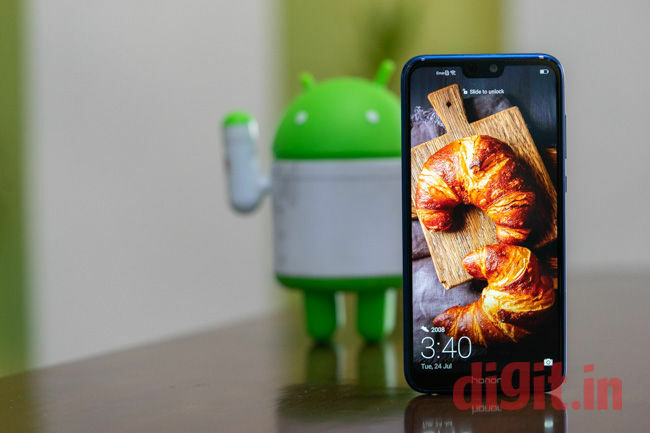 For those who want to buy this phone for casual multimedia consumption, day-to-day social media use and messaging, the Honor 9N will not disappoint. The Honor 9N comes with dual cameras on the back, with a 13+2 Megapixel configuration. The secondary camera is a depth-sensing unit with an aperture of f/0.95 to aid in portrait-mode shots and as it turns out, Honor has really been refining this technology over every iteration. In my use, I found the portrait mode shots to be rather well processed. I could adjust the “virtual aperture” which would determine the intensity of the bokeh effect. While f/0.95 made things look a little too artificial, aperture values between f/1.8 and f2.8 gave the best results. For using the camera in the daytime, there’s little to complain. The colours are rich, the focus is surprisingly quick, and there’s no shutter lag. There is, however, a fraction of a second’s gap before you can take the second photo. The colours and contrast are good, and the dynamic range is fairly okay, but don’t expect wonders. The highlights blow out quickly when shooting in harsh lighting. I ended up testing the camera while it was mostly cloudy, with occasional sun, so the samples I ended up getting are on the much nicer side. There is no OIS however, the EIS does manage to help a little in getting the perfect shot. 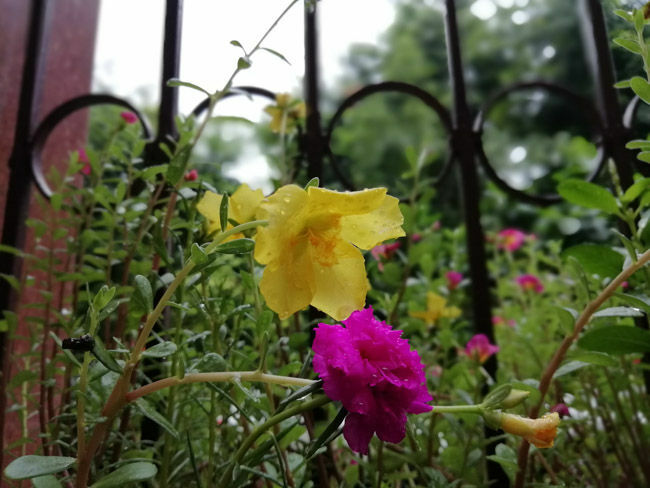 The one fault with the Honor 9N’s camera would be the aggressive JPG compression algorithm which saves space by sacrificing detail. It is difficult to get a texture-rich image due to the way the camera processes the image. However, this is a consistent problem with most smartphones, even most of the high-end ones. 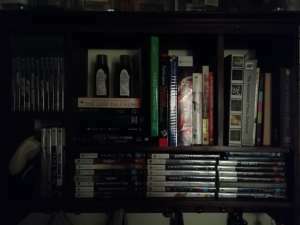 In low light, the camera does rather poorly. The ISO tops out at ISO 2500 and the f/2.2 aperture on the secondary lens makes the camera hit its limits very quickly. 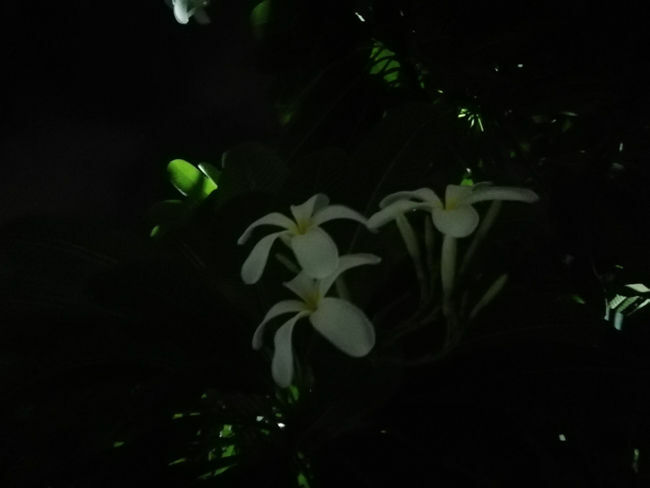 I noticed that while taking a photo of a flower lit by street lights, the camera was just not able to push the exposure any higher and all I could get was an underexposed photo. In this shot, not only are the details completely missing, but noise is visible as well. 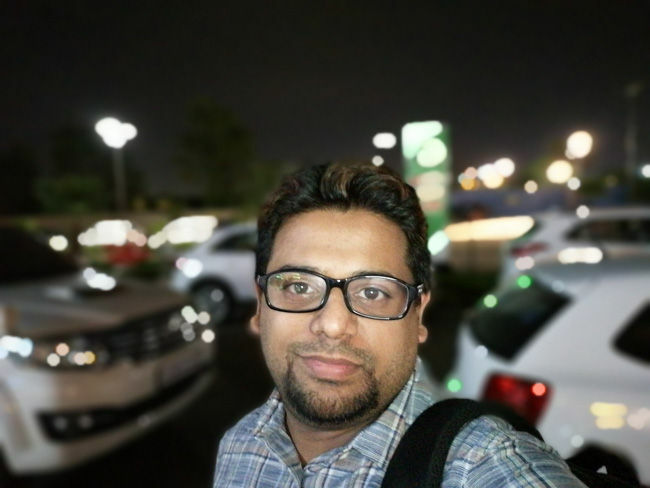 I ventured out and took some more night time photos (and selfies) and noted that the low light performance of the Honor 9N is just barely passable, at best. 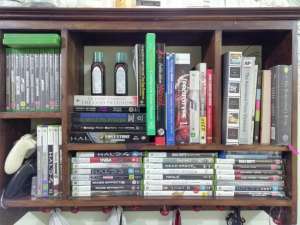 I shot my bookcase in both good light and poor light to see how the camera sensor recreates colour, noise and just how much dynamic range its able to capture. While the good light photo was predictably good, the low light shot showed a significantly reduced dynamic range, but also a loss in sharpness and colour accuracy. The sensor in the Honor 9N is just not able to keep up with low light situations. Now let’s move over to the16-megapixel front-facing camera. In good light and in portrait mode (yes, there is one), the Honor 9N produces photos that I wouldn’t actually mind using as my profile photo (IF I was on Facebook, which I am not). They are fairly impressive, with the same kind of contrast and colour reproduction as seen on the primary camera. A few people who I sent the selfie to asked me if I had shot it on my Google Pixel 2 XL (for fairness sake, these people are not tech-savvy at all). The low light performance of the camera, however, isn’t stellar. Selfies quickly develop noise and once again, the ISO tops out at ISO 2500. Using the screen-simulated flash does help a little, but I wouldn’t say that it’s the best solution out there, especially if you’re taking a group selfie. Overall, the Honor 9N offers decent day-time camera performance but as a low light shooter, does disappoint because it is not able to push the exposure any farther than ISO 2500 and shutter speed of 1/12th of a second, which is weird because if you switch over to the Pro Mode, the camera supports a shutterspeed of up to 8 seconds. Hopefully, Honor can address this issue with a software update in the future, along with adding RAW capture. You can view all the full resolution images from the Honor 9N in my flickr gallery here. 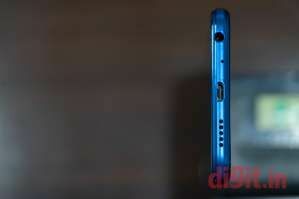 The Honor 9N comes packing a 3000mAh battery and a standard 10watt (5V, 2A) charger. The phone ran for about four and a half hours before PCMark crashed (this was towards the end of the test) and keeps crashing since. In my day to day usage, I am just barely squeezing out a day’s use. I take the phone off charge at 8 a.m. and have to plug it back in by 10 p.m. or put it on battery saver mode in case I’ve been out longer. My usage involves listening to about 3 hours of music, watching 2 episodes of my favourite show on Amazon Prime (the show is House, for whoever is interested) and juggling two email and Instagram accounts. Typically, I have got better battery life from phones with a similar battery capacity, so I was a little letdown. Plus, the lack of fast charging does pinch a little as the phone takes about 110 minutes to go from 0 to 100 percent charge. I do tend to leave both Bluetooth and Wi-Fi on at all times, so you may be able to get a whole day’s worth of use out of the phone, but I wasn’t able to do that. The Honor 9N brings the Honor 10’s elegant design to a sub 15K price point, but the corners that have had to be cut are obvious. The build feels nice and light and while the back is made of glass, it feels more like clear plastic. The phone uses an older Kirin 659 chipset that just barely managed to deliver decent performance. Honor would have to work hard at ensuring that every system update rolled out from here on is focused on performance optimization. For the asking price of Rs. 13,999, the phone does offer good value when considering the full HD IPS LCD display and the camera. 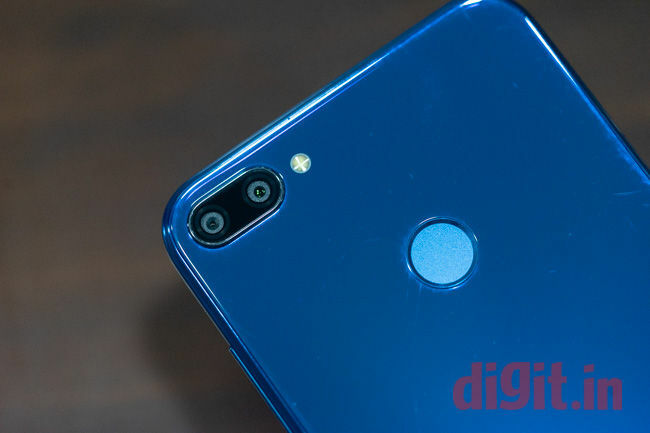 The other reason to consider buying the Honor 9N would be the selection of colours, which most other brands selling in this price bracket don’t offer, which is as far as this phone’s USPs go.